For many developing countries in the world, remittances play a key role in their economies, contributing to economic growth and to the livelihoods of those nations. In 2016, more than US$440 billion went to developing countries that involved 250 million migrant workers, according to the World Bank. For some individual recipient countries, remittances can be as high as a third of their GDP. Asia is the main remittance-receiving region in the world, with 55% of the global flows and 41% of total migrants, claims a recent UN report. It is projected that an estimated US$6.5 trillion in remittances will be sent to low and middle-income countries between 2015 and 2030. With the rise of mobile technology and digital platforms, migrant workers no longer need to rely on expensive money transfer providers and can send money home more rapidly, using just a smartphone, and at a fraction of the cost of traditional methods. Today, we take a look at some of the most popular money transfer apps and remittance services in Asia. 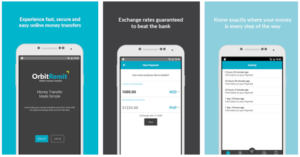 TransferWise, a leading money transfer service born in Europe, has further expanded its reach in Asia, launching earlier this year its Asia Pacific hub in Singapore. 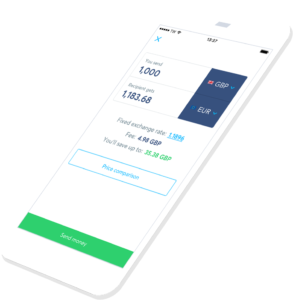 TransferWise, a peer-to-peer money transfer platform, provides over 750 routes across the world. 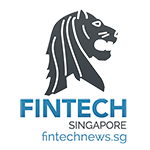 Every month, people use the TransferWise app or web service to remit over S$1.75 billion worth of transactions, saving more than S$2.5 million every day. Typically, TransferWise is two to five times cheaper and one to three days faster than banks and other remittance companies. Founded in 2009 and headquartered in New Zealand, OrbitRemit is an international money transfer service that allows people in the UK, Australia, and New Zealand to send money to their friends and relatives in over 40 countries. Senders simply need to request a transfer on the website and then send the money to OrbitRemit by domestic bank transfer. Since the transfer is cleared into OrbitRemit’s bank account, the company performs a currency exchange and sends the money overseas to the beneficiary. 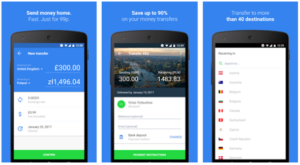 OrbitRemit charges a flat fee and promises much better exchange rates than the banks. Customers can also track their money online every step of the way. Azimo is an online remittance service headquartered in London and with offices in Krakow. The company aims to make international money transfer cheaper, faster, simplier and easier to understand. 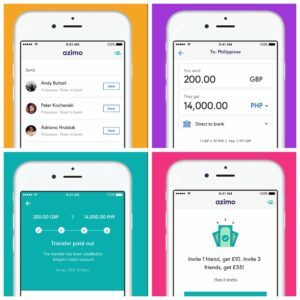 Customers can transfer money via the Azimo website or mobile app to more than 190 countries in over 80 different currencies. Azimo serves some 500,000 customers and offers more than 270,000 cash pick-up locations globally. The company recently launched “one-tap money transfers,” a feature that lets users in Eurozone countries to instantly send and receive money using just a phone number. TransferGo is a digital remittance solution targeted at migrant workers. 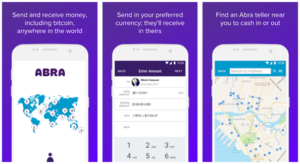 Headquartered in London, TransferGo lets customers send money to European countries, as well as in Hong Kong, the Philippines and India. Users simply need to register, book a transfer and provide the recipient’s details and the amount to be sent, and make a local bank transfer of the amount or pay using a debit card. Once the company receives the payment, the money will arrive at the other end within a few hours. TransferGo charges a fixed transfer fee and between 0.6% and 1.5% fee for the currency conversion per transaction. All fees are included in the amount a user sees when booking a transaction. 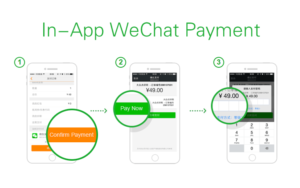 WeChat Payment is a payment solution integrated inside WeChat, Tencent’s social and messaging application and China’s most popular chat app. The feature enables users to perform a variety of transactions including transfer money to friends, perform transactions on e-commerce platforms, top-up mobile phones, invest in wealth management funds, pay for water and electricity bills, and more. Users need to provide their bank account information and can link their debit or credit card to make cashless payments. 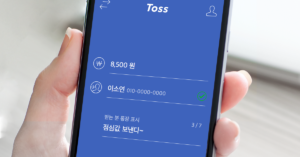 Toss, a service of South Korea’s Viva Republica, is a popular mobile banking app serving a rapidly growing user base of over 6 million registered people. Toss lets users transfer funds quickly and easily, and has so far processed more than US$3 billion worth of transactions. Since its launch in 2015, Toss has expanded its offerings with Toss Loans and Toss Finance Dashboard. 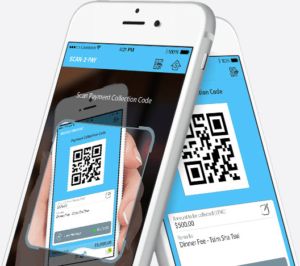 TNG Wallet is a leading e-wallet service in Hong Kong serving merchants and end-users. The mobile app enables users to make peer-to-peer payments, bank transfers, pay for utility bills, top-up their mobile phones, and make global money transfers. The cross-border payment feature lets users transfer money from their TNG Wallet app to over 800 banks across 12 countries. There is no transaction fee for users and the company guarantees “very favorable rates.” Verified users can withdrawal cash immediately at more than 190,000 cash pickup points. TNG Wallet claims it serves around 5% of Hong Kong’s population. Abra is a peer-to-peer money transfer network that uses Bitcoin and blockchain technology to enable users to transact in over 50 currencies. Abra Tellers represent a global, shared network of consumers helping each other easily deposit and withdraw cash from the Abra app anywhere in the world. The Abra mobile app is a non-custodial Bitcoin wallet that allows users to see the value of their funds in any world currency. The Abra model is a 100% peer-to-peer, with no middleman ever holding, managing or touching clients’ funds at any point in any transaction. 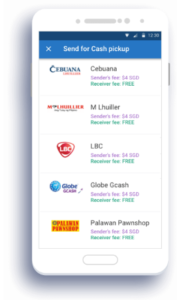 Headquartered in the Philippines, Coins.ph provides person-to-person wallet transfers, bill payments, mobile top-ups, online shopping, and remittance services across Southeast Asia. Its cash delivery network covers tens of thousands of banks, pawnshops, payment outlets, and door-to-door delivery across the region. As a service running on blockchain technology, Coins.ph uses digital currency as a low cost gateway to banking. Coins.ph operates in the Philippines and Thailand. 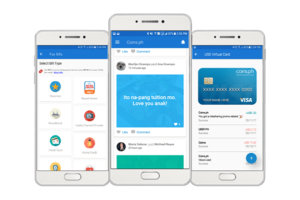 Toast, from Singapore, is a peer-to-peer money transfer app that enables Filipino migrants in Hong Kong and Singapore to send money home to their friends and relatives directly from a smartphone. Toast claims it is 81% cheaper than banks and much faster as users can send money home in just two minutes. Senders can choose between two money transfer options: cash pickup at over 7,000 locations, or directly to any bank. Toast also allows users to pay bills in the Philippines from overseas and will soon allow for mobile top-ups as well. Thanks for sharing this info, you can also check it out Puut Wallet. The all in one wallet replacement app https://puutwallet.com/. It has various features to transfer the money which will be safe and secure. Sharing money with friends and family domestically or internationally is made easy, safe and Secure with Puut Wallet.